Home / STORE / Cones / Easter Cones. Having an Easter Egg Hunt for the children, let them collect thier chocolate eggs in these fun Easter Cones. 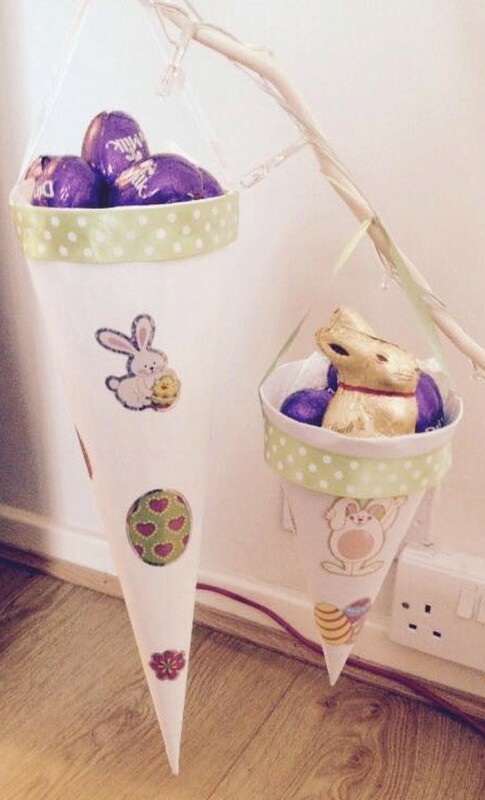 Large cones approx 24 cm x 7cm diameter. Smaller Cones approx 13.5cm high x 7.5cm diameter.